A proven method to end the killing of homeless pets. 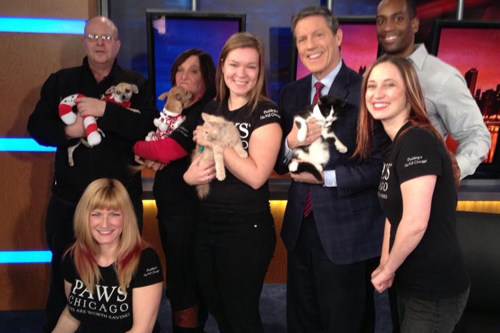 PAWS Chicago's lifesaving success is rooted in our No Kill Model, which can be replicated and scaled in any community. 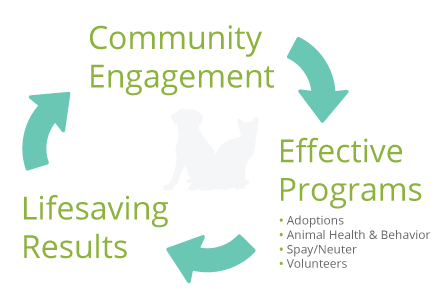 The foundation of our No Kill Model is Community Engagement. By raising awareness about pet homelessness and engaging people in these efforts, we can make lasting change for animals. 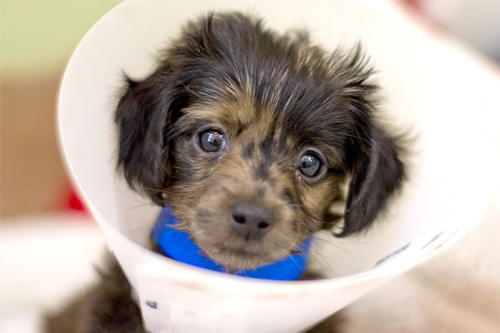 PAWS Chicago’s mission-critical programs—our No Kill pillars—sit atop this foundation. These pillars are the robust Prevention, Adoption, Animal Health and Behavior, and Volunteer programs necessary to build a No Kill community. 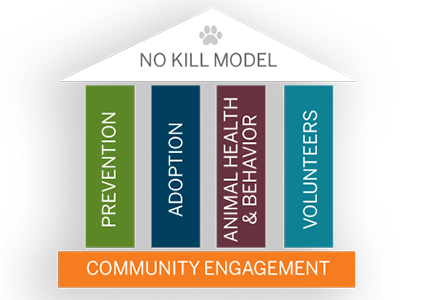 Our No Kill Model works as a feedback mechanism. The foundation of the Model—community engagement—drives effective programming in each of our pillars. These programs generate measurable results that show incremental, positive change. Those results then lead to additional community engagement.